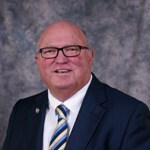 The owner of an auto dealership in Weatherford, Texas, Jerry Durant is also a member of various local organizations, including the local Chamber of Commerce, Parker County Sheriff’s Posse, and the Lions Club. Committed to giving back to the community, Jerry Durant played an integral role in the development of the Weatherford High School. He donated a stretch of land off of Interstate 20, which now is home to the new school. In honor of the contribution, the school named the auditorium after him. Further, he spearheaded the creation of the school district’s education foundation, which provides vital funding for school supplies and educational programs. He remains an honorary director of the group. Mr. Durant likes to spend his spare time working with horses. He and his wife own several thoroughbred horses, which they enter into competitions throughout the nation. He also participates in various National Cutting Horse Association events.